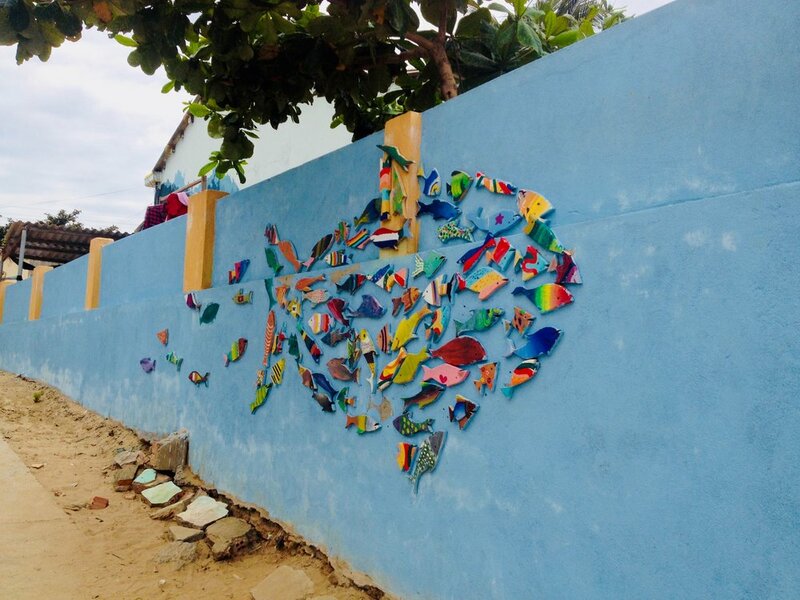 Todays blog profiles a Mural Village project in Vietnam, the result of a collaboration between a Vietnamese local government, a village, and with the lead of the Korea Foundation: A project to enhance the environmental management and economic development opportunities of the small fishing community. It asks what the opportunities and challenges are of executing projects oF this nature. Public Art as a Cultural Policy Instrument? Public Art is often touted as a way to revitalize spaces. But instituting public art can be expensive as well as complex, requires considerable technical skill. Importantly doing public art well means being able to work collaboratively with communities to ensure the project is appropriate and acceptable, rooted and has long term positive impacts. Since few artists (in the global South) get commission opportunities, its hard to become really good at doing public art projects. Its often an exercise best done by experienced teams who work on multiple projects and so grow adept at commissioning public art working with different artists and communities. However this also has its downsides, which we will explore in later blogs. More often public art projects are either done as urban regeneration projects in downtowns, usually in middle class areas, sometimes with the support of business. Alternatively, and commonly, it is connected to some sort of memorialization and thus often initiated by governments, who rarely consult locals. For a number of reasons then, more often linked to finances and expertise, it is not a regular occurrence In the global South to find good projects of this nature that revitalize areas and build communities at the same time. A cheap way of doing a public art project is mural work. This is often done by experienced artists, with spray-can work being the most ubiquitous (ie. so called graffiti or street art). There are also painted murals, mosaics and wheat paste work, or variations of these including using other mixed media. There are a number of cities with significant pieces of work, usually done by the artists on their own backs and cost, often spray-can work. In some cases working in this non formal way can be a risky exercise, with some artists harassed, fined, jailed or even beaten by authorities. Sometimes though the projects are part of a state supported initiative. An example of the latter is the work in the historic city center in Penang, Malaysia, which started as a single artists initiative and later attracted other artists and the involvement of the state, through its tourism authorities. In other cases artists work in collaboration with locals, usually younger people, to produce work, but the results risk being patchy aesthetically, even if they are empowering for those involved. although there are notable exceptions. But there have been a number of successful large scale mural art projects instituted in various global South cities and towns, often using simple but effective strategies to engage locals and shift the inhabitants perspective of their area, as well as attracting tourism interest. 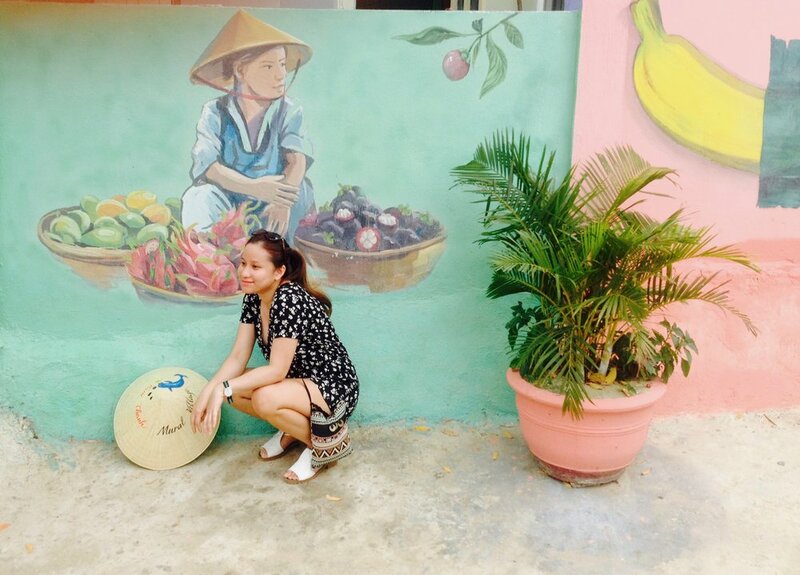 One of these projects is the Tam Thanh Mural Village project. Tam Thanh, a small, peaceful, fishing village of around 20 families, on the edge of the City of Tam Ky, the capital of Quang Nam Province, was turned into a "mural village" in a joint initiative by the Korean Foundation, the People’s Committee of the city (the defacto local government) , and the villagers themselves, with the support of the United Nations Human Settlements Development Programme (UN-Habitat). 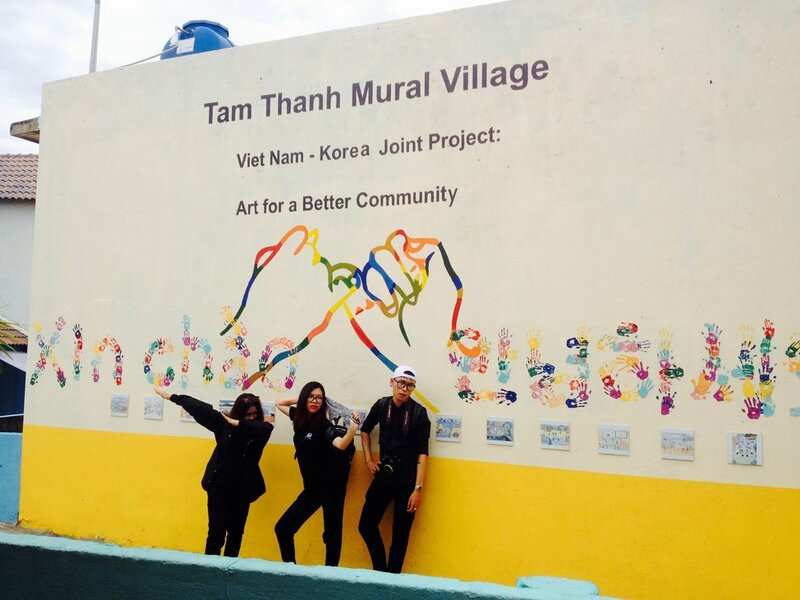 The June 2016 “Art for a Better Community” Exchange Program involved five Korean artists, seven Vietnamese artists, and some local volunteers who helped clean up the town with the residents and then create the artworks. One its key goals was to "preserve the essence of the local culture while improving the living conditions and livelihoods of locals." 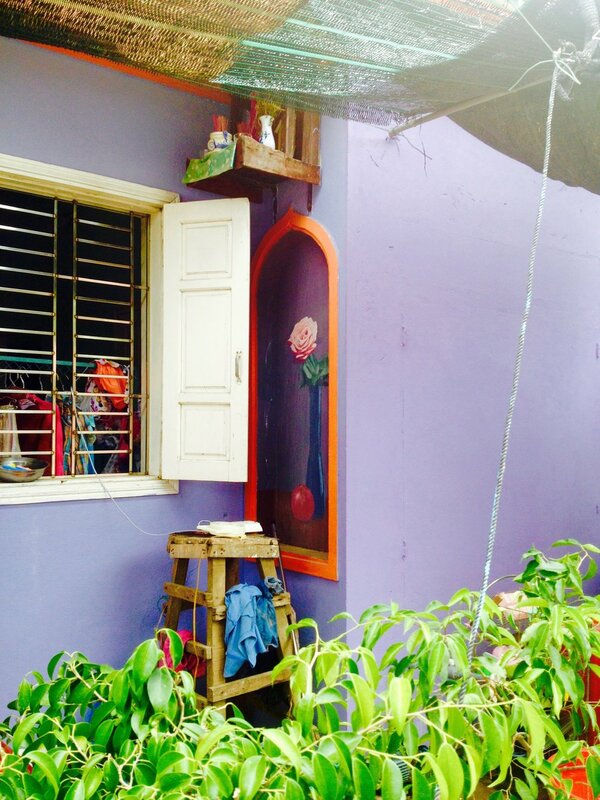 Over 70 murals and other decorative elements were painted in the three weeks of the project brightening the once mouldy walls of this old settlement. Tam Thanh was chosen as an ideal village because it has a density of homes in a relatively small area and includes a main street with a few small stores, a market and drinking spots. This configuration creates a gallery-like effect, with large murals linked by decorative features that lead viewers down the few alleys to smaller murals. One can then walk onto the beach where the fisherman have their boats. The murals feature local people, natural features as well as popular culture imagery. Although this is the first project of its kind in Vietnam, it is inspired by a number of Korean mural villages. It has helped foster a dialogue within Vietnam about the role of art in the everyday, "regardless of one’s socioeconomic background" and as a way to bring people together. The residents have reported an increased pride in their village as a result of their stories being told on the walls, and have become more aware of the environment, starting a more effective waste management system. There are also economic development spinoffs. The Tam Thanh project has garnered much media attention and brings over 1000 visitors a day on average to this once sleepy edge of the city, Many of these visitors usually rush around taking selfies stopping for a tea or soft drink. This influx has turned some of the young kids into voluntary "tour-guide" who are eager to meet new people and show them their village. A number of homes have set up small businesses outside providing drinks and snacks to the visitors. 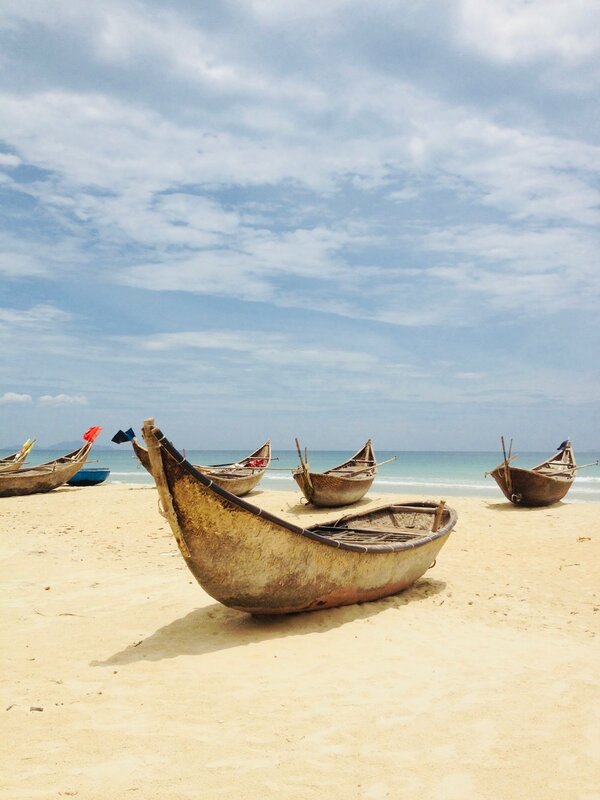 With the support of government, a homestay service has been established This will allow visitors to "experience the daily life of Vietnamese fishermen, which involves such activities as making fish sauce and ‘knitting’ fishing nets" and visiting sites that locals know. Its unclear what the long term plan is for the village. How well integrated the community is with the project, other than being willing recipients, is unclear. There is for example a need in cases like this for long term maintenance plan for murals, which usually fade within a few years. An art project for local young people could ensure this is done and could help foster greater creativity. This can also help further innovation resulting in other creative initiatives. It is not know to the author if such a project was set up in Tam Thanh. On the tourism side, government has started other mural villages around the province and these may draw attention away from the village in the long term. This can have a negative impact on the village if it has developed a reliance on tourism. The question remains what this relatively short term intervention will mean for the village, its way of life and its people over a longer term, once the thrill of the novelty is over - how will it change the place and its people, as it already has. It raises issues about how best to plan for projects of this nature, how to involve locals in the project through its phases, how to evaluate it and adapt it over time and how to mitigate risks into the future. Using public art as a cultural policy instrument, as in the case of Mural Village projects, can potentially have strong positive impacts. These range from building pride and social cohesion, helping to foster creativity and as a way to discuss issues of local heritage and culture. It can also have impacts with community innovations, through bringing awareness to economic, social and environmental issues. Exchange projects bring new ideas into places and learning happens for all involved. Projects can bring external people into the village on a more ongoing basis as visitors, furthering economic development, creating businesses and jobs. However all these come with risks and potential negative impacts to a fragile community. It is therefore important for projects of this nature to have clear aims, involve locals from the outset, understand and mitigate risks upfront, be properly financed into the longer term for maintenance and building on opportunities to grow creativity, be evaluated regularly and adjusted as needed.